Earlier in December, Yahoo sponsored the Node Summit, a two-day conference in San Francisco which focused on NodeJS’ transformative role in the future of computing whilst also showcasing real-world solutions from a select group of companies working with NodeJS today. YDN was proud to host Yahoo Hack Israel in November in Tel Aviv. It was our first hack event in the country, and we were happy to see Israel’s hack community came out in full force. You can learn more about Yahoo Hack Israel by reading the several recap posts on our blog. DBTA Magazine: Appfluent enables companies to put the right workload on the right system, across data warehouses, BI & Hadoop. The post Appfluent Expands Data Usage Analysis appeared first on Appfluent. 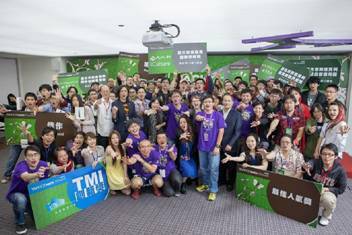 Yahoo Hack Taiwan: It's a Wrap! 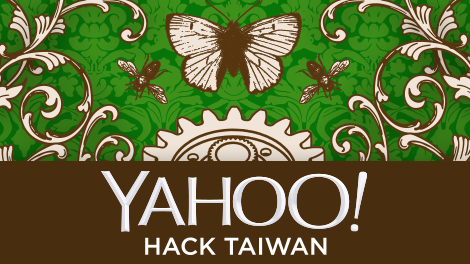 Congratulations to all the hackers who participated in Yahoo Hack Taiwan last month. Over 200 developers and designers were chosen from more than 700 applicants to participate in this year’s event. Hackers divided into 56 teams to create a diverse array of apps. As with all other Yahoo Hack events, Yahoo Hack Taiwan provided plenty of hospitality, including good food, drinks, ping pong, and other details that kept the energy at a high level. First Prize: Good Lock – a text message storage and retrieval Web app for reducing distractions and increasing user productivity. If you know Mandarin, check out the hack demo video for more details on the hack. Technologies used included HTML5, font-awesome, iCulture Open API, jQuery, AngularJS, Bootstrap, Yahoo! pure, Flickr, Rails, and YQL. Watch the screencast. Second Prize: YA TAIKO! – Google Chrome extension that helps you clean away your Yahoo mailbox immediately and integrating a Taiko-like rhythm game with achievement system. Here is the Ya Taiko screencast in Mandarin. Technologies used included the Yahoo Mail Web Service API and the Facebook Feed Dialog API. Watch the screencast. Honorable Mentions went to two photo hacks that used the Flickr API: FotoFlick and Leak Motion. Best Design Award: iOlder – a volunteer recruitment platform to enable people to help the elderly. Technologies used included iOS. Yahoo Hack Taiwan rounds out a whirlwind year for Yahoo Hack events that have happened in London, Beijing, Tel Aviv, Hyderabad, and Sunnyvale. 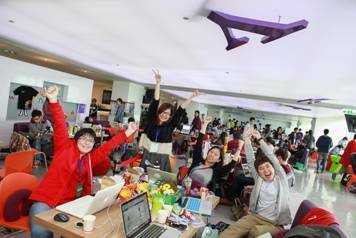 We’d like to thank all of the people involved in making Yahoo Hack Taiwan possible, including the organizers, judges, and of course, the hackers. As part of our ongoing effort to strengthen our users’ security, we recently announced that we would make all Yahoo Mail connections encrypted with HTTPS by January 8, 2014. The domain name (mail.yahooapis.com) will remain the same. All non-HTTP API access to Yahoo Mail will be shutdown on December 18, 2013. If you don’t update to HTTPS, your users will not be able to access their Yahoo Accounts via your service. Thank you for helping Yahoo Mail make the shift to HTTPS. UPDATE: We have extended this deadline. All non-HTTP API access to Yahoo Mail will now be shut down on 24th March, 2014. Do you have a NodeJS application serving production traffic? Ever wonder how Yahoo might handle this? If yes, at some point or other you must have thought it would be nice to have a clean and simple solution for high availability.